Shigaraki took over Tokoname’s techniques and was founded around the 15th century. 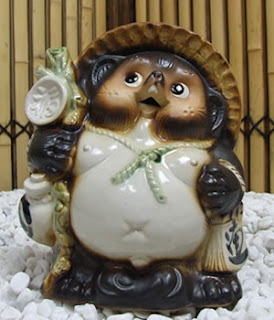 Its famous works are jars, jars for Bonsai, grinding bowls and raccoon statues, now Shigaraki clay has a lot of iron contents which makes red color ware. Their kiln was designed so that ash falls on the pottery while burning. The kiln has a series of room each slightly higher than the next. Ash, smoke and heat rise thorough the rooms creating different temperature and conditions. The design is good for letting ash fall on the pottery. The ash makes beautiful patterns. The flame also affects the patterns. 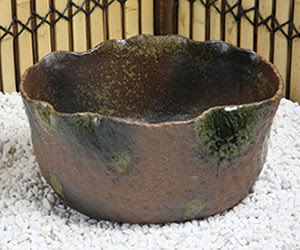 It makes very beautiful ash glaze on the surface. This process is controlled more by nature than by human intervention, just like Japanese style landscaping. 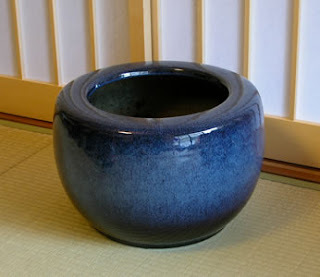 That is why intelligent people love tea ceremony and enjoy using this pottery.